After an accident with a drunk driver, you need an attorney. A drunk driving accident can cause considerable injuries and damages — and it often doesn’t harm the inebriated individual nearly as much as it harms you or your loved ones. The Chino personal injury attorneys at Amaya & Associates understand the tragedy involved with a drunk driving accident, and we’re here to help. Drunk driving accidents are tricky. You’re not only dealing with your own insurance company, but the driver’s as well, and you’re dealing with the police. Whether the guilty party is in jail or not, they are responsible for the damages and injuries you encountered from the accident. • Lost wages due to injuries from the accident. • Medical bills now and in the future from the accident. • Repair or replacement costs for your vehicle and other property. Insurance companies purposely make it difficult for claims to be settled. They will send you letters with difficult wording and attempt to confuse you on your policy. With an advocate by your side, you can settle your claim faster and get the monetary compensation you need — not what the insurance company thinks you need. Amaya & Associates Attorneys at Law have a solid track record for representing victims of drunk driving accidents. We understand the stress and pain you and your family are going through, and we want to help. Once your case is accepted, we will start working with your insurer as well as the other party’s insurance company to secure a settlement that covers your costs today and in the future. 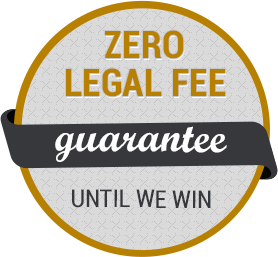 Schedule a no obligation consultation with one of our skilled attorneys today by dialing now.